This is your list of people that send you SPAM and you want to block. 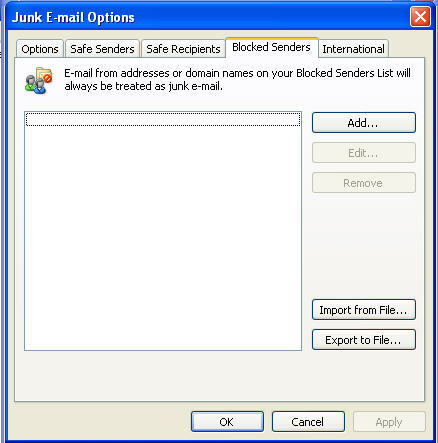 This too is editable by right clicking on a SPAM email and selecting Junk Mail-Add email to blocked senders list. Click on the other tabs (Safe Senders, Safe Recipients, etc) to get info on the other tabs.